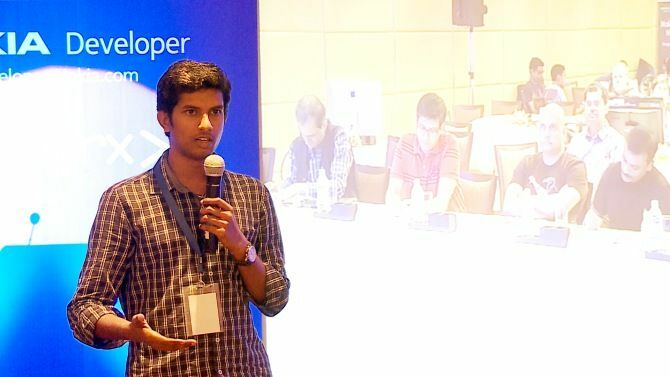 Our coverage of the Nokia Do Good Hackathon in Bangalore, which hosted roughly 70 developers competing to build the best education, environment and health apps for the Windows Phone and S40 platform. 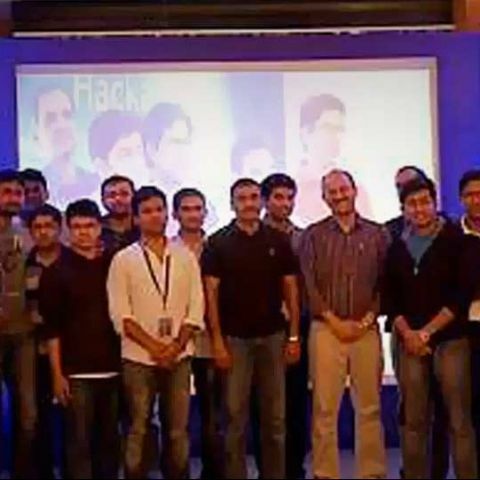 Nokia hosted the second of its three hackathons in Banglore this past weekend, where it saw a large number of creative minds come together to create apps for Windows Phone and S40 platforms. But this wasn’t about just creating any app. There was a purpose behind the exercise. Just as the name suggests, the theme driving the entire event, was “do good.” The primary driving force behind the ideation of each app should be to cater to a social need. The hackathon had developers focus on any of the three areas that need immediate addressing, that is, health, education and environment. The Bangalore leg of the event saw about 70 developers come together under one roof, hole up in one room for a duration of 24 hours, where they would crunch away at their keyboards, dishing out line upon line of code, all in an attempt to create an app that would cater to social good. The room was full of a lot of energy, given how most of the developers present were youngsters. They did bring a certain freshness to the room, not just in spirit, but also in ideas. It was good to see that there was a healthy mix of apps that focussed on all the three different themes, and not be focussed on just one. There was an app by a developer that helped little children learn how to correctly write Kannada characters, which visibly impressed the judges. The potential for including other languages into the app could open it up to even adults, who might be learning a foreign language. Another developer created an app that would help nurses keep a track of each of their patient’s medical needs, sending an alert to them when a dose was due, and when the nurse completes the task, a confirmation message goes to the doctor, letting them know that the patient has been successfully medicated. With respect to the environment, a team of developers created an app that would allow users to take photos of local flora and fauna, allowing users to build a database of what tree or plant or animal can be found in that particular region. The goal is that if somebody sights an important piece of nature, others can learn about it and help preserve it. The app would also help children who want to learn about various kinds of trees and plants have access to their location on the fly. The hackathon was judged by an eminent jury comprised of heads of various big companies, who deemed six teams worthy of making it to the grand jury review. Of the six, some will be chosen to receive Nokia Lumia devices and one team (from the combined strength of the three cities) will get to attend AppCampus, fully funded by Nokia. While the possibility of winning a Lumia 920 or an 820 or a 720 was lucrative enough, many looked past the prizes and came together essentially to do good. We spoke with many developers at the event and most said that they felt it was their responsibility to give something to the world, in whatever shape or form they could. While not all apps were selected as the finalists by the Jury, it was noted that almost every app created that day held the potential to create an impact in society, for the overall good of the community. While the Bangalore leg of the hackathon was pretty exciting, we now look forward to the third and final event in Pune, to see who the artistic and the nerdy minds of the city come together. is nokia 6 a good phone? Is digit december edition includes all previous edition in pdf format. is Samsung Galaxy j7 2016 edition is good for video recording and taking photo?